18-24 Year Olds Not Rewarded at Work according to new report by Red Letter Days for Business. The new research revealed in ‘The Rewards Report’, commissioned by incentive and reward experts Red Letter Days For Business, was conducted to analyse how, what, and why rewards were given in the workplace to predict future trends and understand the impact employee recognition had on motivation, productivity and engagement levels in the UK last year. “There’s always going to be a small percentage of each age group that does not receive a reward from their employer due to various reasons, such as staff members not performing. However, as soon as this percentage reaches above 30% alarm bells start ringing. The statistics show it’s more likely the employer is not recognising their workforce for a job well done, rather than the employee is not doing good job. 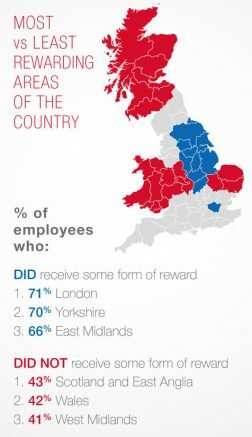 London came out on top as the most rewarding region in the country with 71% of employees from the city saying ‘yes’ they were rewarded in 2015. Scotland and East Anglia both hold the bottom position as the least rewarding regions with 43% of staff saying ‘no’ they didn’t receive some form of recognition last year. “It will always be difficult to determine whether rewards engage staff because highly engaged employees are more likely to work harder and therefore receive rewards,” says Bill Alexander. When rewarded employees were asked how the recognition made them feel 38% said ‘valued’ and 26% said ‘motivated’ – however, 16% said ‘nothing’. “Interestingly, the employees who said they felt ‘nothing’ when they received a reward also said they were disengaged at work. In comparison, the staff who said rewards made them feel ‘valued’ and ‘motivated’ most of these people had high levels of engagement. It shows us that dangling carrots in front of disengaged staff is not going to instantly make them engaged. Rewards should be used to maintain engagement, not engage people in the first place,” continues Bill Alexander. 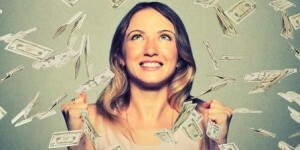 “Apart from cash bonus and overtime pay, all of these rewards will create memories with employees and will no doubt hold some meaning. It shows a regular thank you from a manager is an effective tool to keep staff engaged and driven too. Businesses can get caught up in budget constraints which stops them launching recognition programmes, however we must realise that a thank you is free – and something every employer can launch tomorrow,” finishes Bill Alexander. 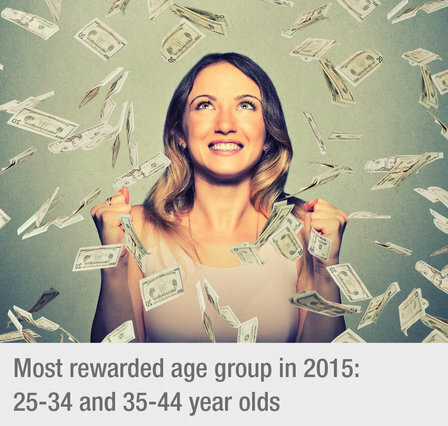 This survey was conducted among 2,006 British employees during December 2015. The survey was run by an independent research agency. The research questions and report were compiled by an independent writer and published in March 2016. Owned by Peter Jones and Theo Paphitis, Red Letter Days for Business are the incentive and reward experts from Red Letter Days. The team aim to help businesses enrich the lives of their employees and customers, keeping everyone motivated, rewarded and engaged, to ultimately improve the bottom line. Providing companies with a variety of choice and flexibility, the team create bespoke campaigns that are memorable and deliver results. Rewards are delivered through incentive travel, points schemes, team building events, conferences, scratch cards and on-pack promotions. The company can also offer an array of unforgettable prizes for staff and customers that include its popular high street voucher, experiences, gifts and holidays to name a few. Be the first to comment on "18-24 Year Olds Not Rewarded at Work Revealed in Red Letter Days Report"